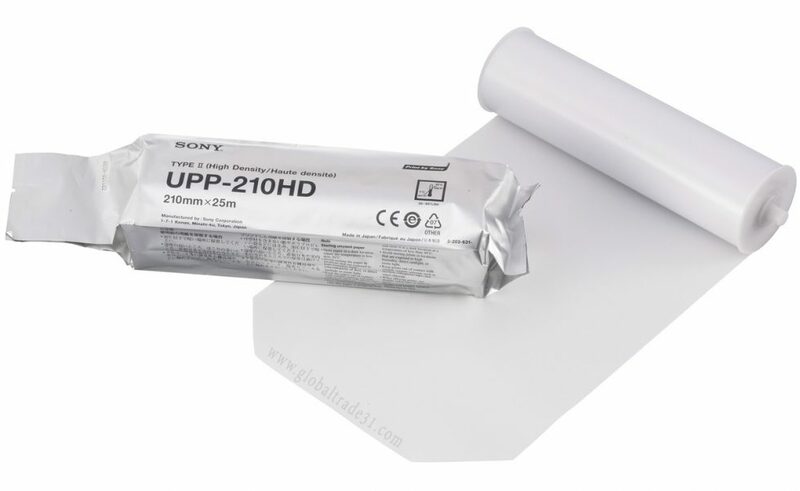 Sony UPP-210HD is High density black and white thermal print media for UP-910AD, UP-930AD, UP-960AD, UP-970AD, UP-980AD, and UP-990AD Black and White Printers. MOQ: 50 rolls or 10 cases. Sony Print media UPP-210HD is High density black and white print media for use with Sony UP-991AD / 990AD / 980AD / 971AD / 970AD / 960AD / 930AD / 910AD Black and White Printers. One rol is approximately 139 prints. Media size 210 mm (W) x 25 m (L). UP-930AD, UP-960AD, UP-970AD, UP-980AD, and UP990AD Black and White Printers.